PLEASE NOTE: Because of the Christmas and New Year holidays, my next post is scheduled for Friday, January 9, 2015. I wish you all a very Merry Christmas and a safe and healthy New Year. 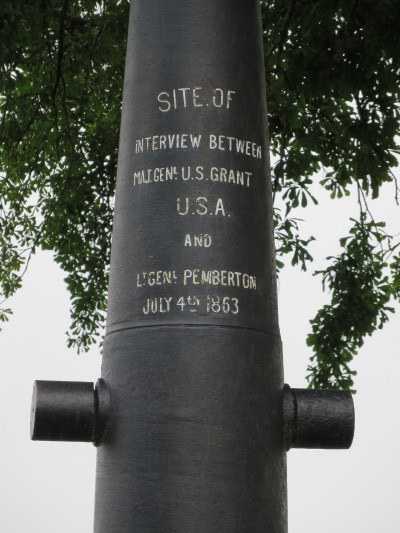 At Fort Morton, on the line before Petersburg, in the winter of 1864-5, wood became a scarce article, and it was no small part of our work to find a supply and get it into the camp. Every tree for miles around had been cut, even to the roots. There was also a class of men who were very shy about exerting themselves to do such work as required them to cut and carry wood into camp and cut it again ready for use. As the men were usually in ‘a mess’ of from four to six that tented together (when we had tents) it was the custom for each to do his part toward keeping up the supplies of wood and water. A certain mess consisted of four, and among them was a man of the class noted for lack of energy such as required him to gather wood. This man we will call George. 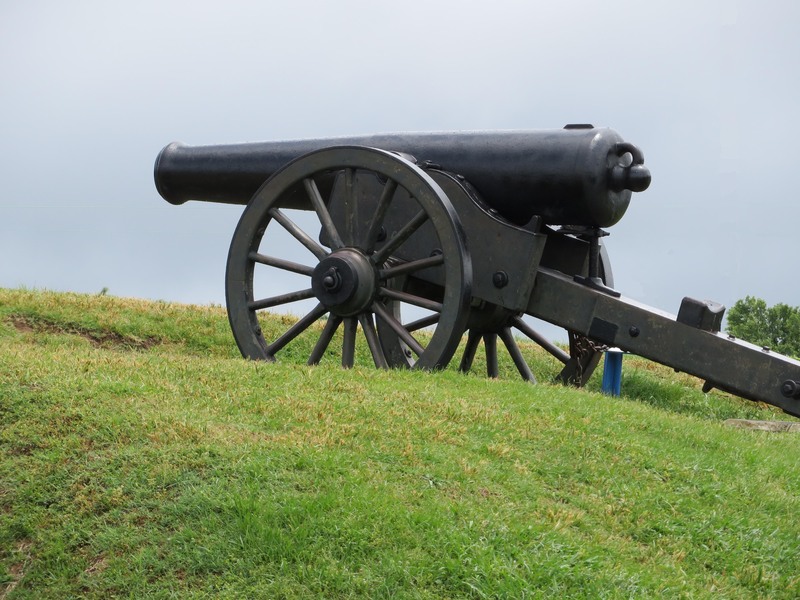 The fort was located on the line where the sharpshooters had a good range and were not slow to fire at anything that offered a target. A tree stood in front of the fort on the slope and in full range of the sharpshooters and exposed to the extent that no one had ventured to go out and cut it. One day wood was especially scarce and George was invited to contribute a little of his energy toward increasing the supply. As usual he had some very important excuse and could not assist in the undertaking. The patience of the other three became exhausted and he was given to understand that he should do his share in replenishing the supply, and do it at once, or take the consequences. Well, George could do nothing but accept, so an axe was found and the challenger started over the fort and made quick time to the tree. He didn’t stop to make many observations, not much, Johnny Reb would find him quick enough. He put in his best strokes and soon had his half of the tree cut, meanwhile the sharpshooters had got the range and were prepared to give George a warm reception. George was gritty enough to fell the tree and ran for the fort. The tree was left until dark and then cut up and taken to the ‘gophers,’ as our bomb proofs were called. George was not called on for wood again for some time. This entry was posted in 1864 - Autumn, Life in Camp, Men of the 14th, Siege of Petersburg, The Lighter Side on December 19, 2014 by admin. 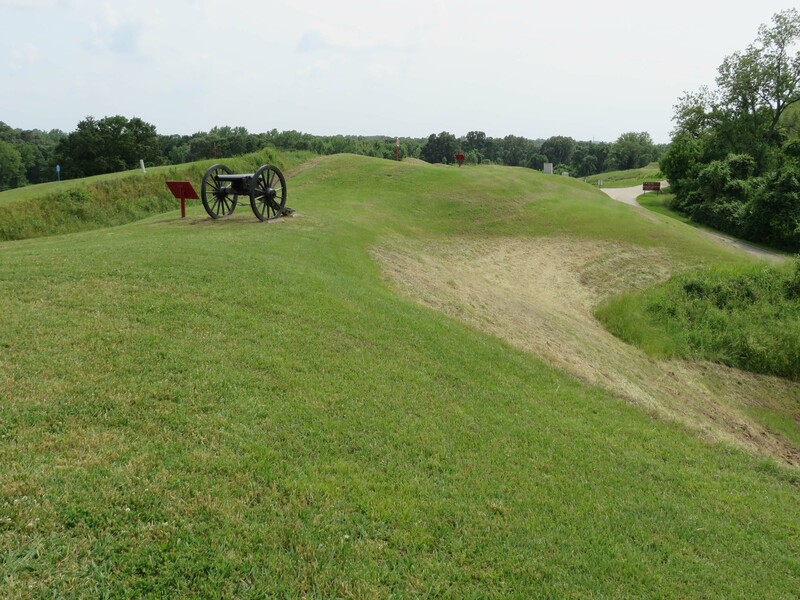 The Fourteenth Connecticut Volunteer Infantry wasn’t engaged in anything noteworthy during early July, 1864, so on this 151st anniversary of the capitulation of Vicksburg, I thought I would share a few photos I took when I visited that historic city during May of this year. 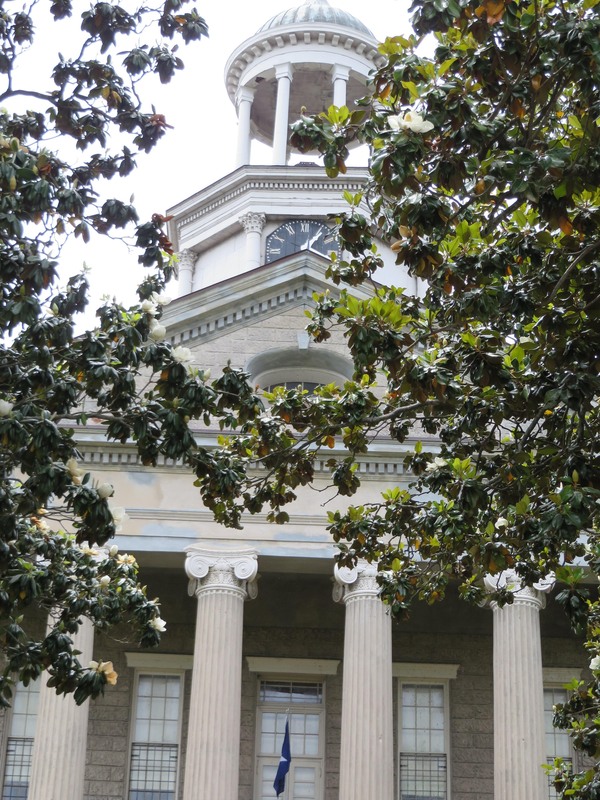 The Old Courthouse Museum is a treasure trove of antebellum and Civil War antiquities. I spent hours searching the archives of the McCardle Library gleaning interesting tidbits for a future novel. There are many residences and other buildings in Vicksburg that were built before the war. Some of the historic homes are now inns and open for tours. I stayed at the Duff Green mansion which was used as a hospital for both Confederate and Union soldiers during the siege. Following are several photos of the siege lines in the National Military Park. 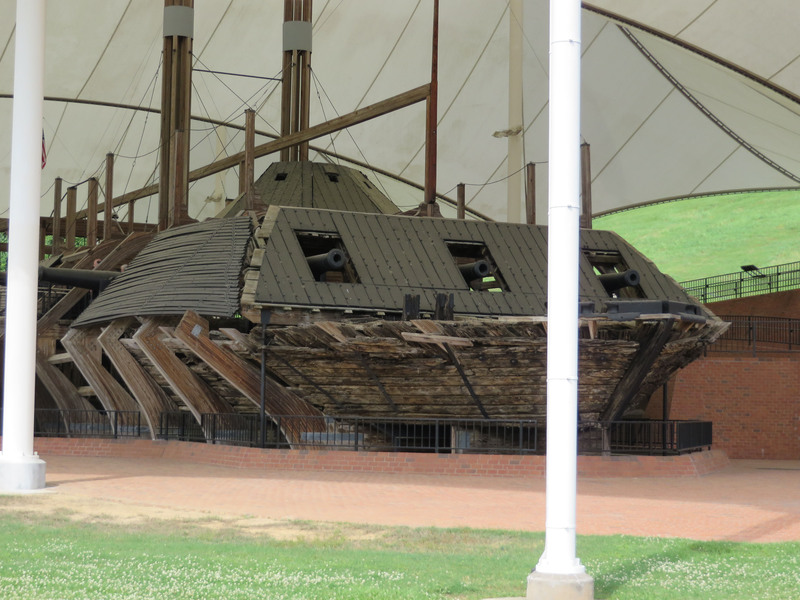 The USS Cairo Museum is located within the Military Park. Having read about its sinking and the discovery and raising of the hulk beforehand, I knew approximately what to expect, but I was still amazed. 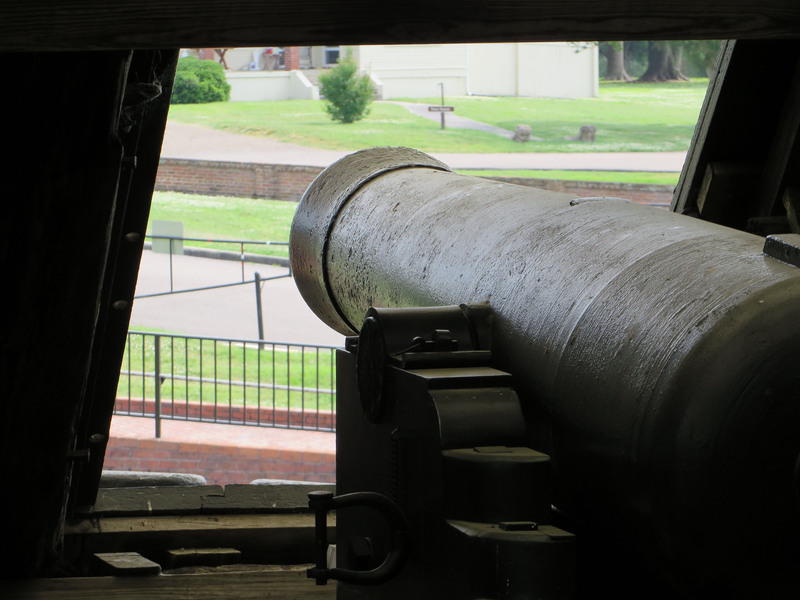 This is a must-see if you ever visit Vicksburg. 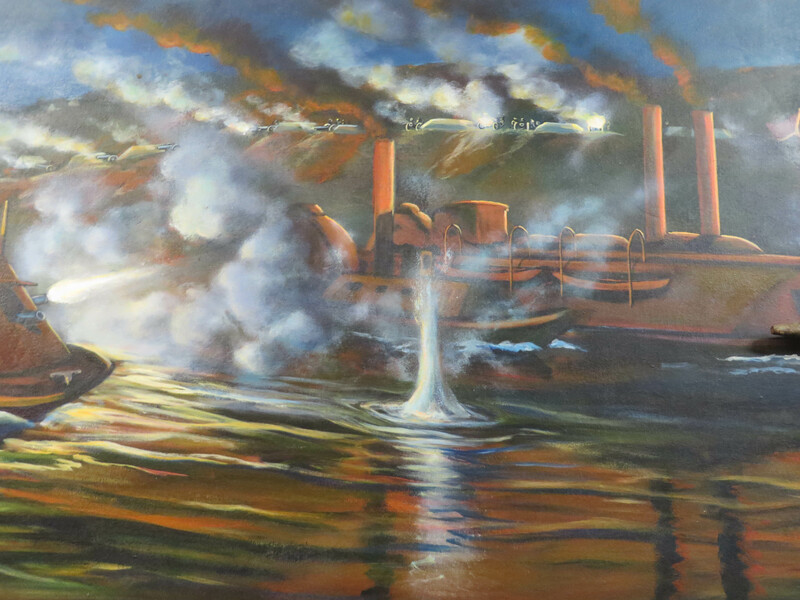 This last photo is a of a portion of a large mural in the Old Courthouse Museum. 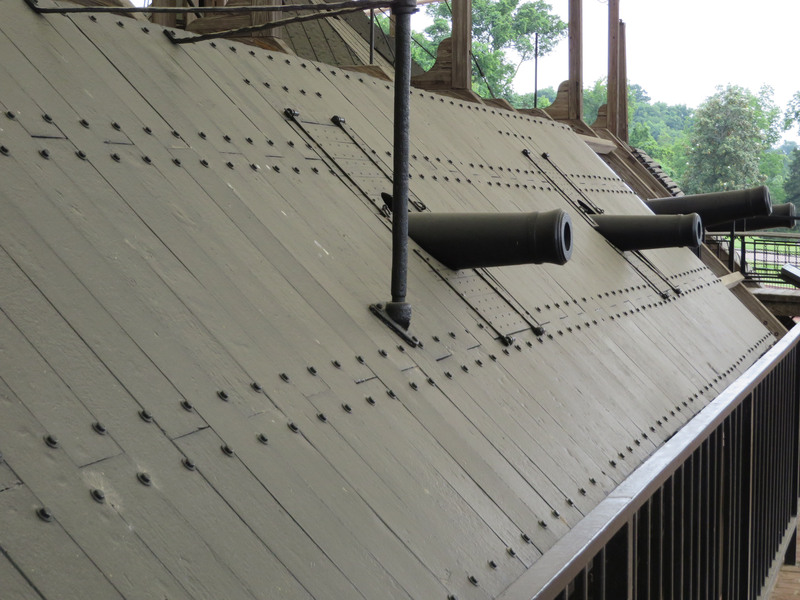 It depicts Admiral David D. Porter’s gunboats and transports passing the river batteries at Vicksburg April 16, 1863. The fireworks were particularly impressive that night. This entry was posted in General Information, The Lighter Side on July 4, 2014 by admin. There seemed to be no shortage of whiskey in the Army of the Potomac, particularly among high-ranking officers, an indulgence the men of the Fourteenth would soon pay for in blood. But that’s next week. For now here’s an amusing story taken verbatim from Charles Page’s History of the Fourteenth Regiment, Connecticut Volunteer Infantry. “Ah, General, dear, I’m that dry I could hardly spake the truth,” said Barron. And it is vouched for by the men of the Fourteenth that the General’s canteen furnished old Pierce with a drink that day. Another time as Smyth was riding by the camp, however, old Pierce was seen trotting along by his side, showering blessings and blarneyings on him, but the General took no notice of him, and the old fellow soon dropped away to one side, his mouth watering for the whiskey he did not get. Note: Little is known about Pierce Barron. He was probably a draftee rather than a paid substitute. He was mustered into the regiment on July 25, 1863, and the use of “old” in the narrative implies that he was probably in his 40s, but may have appeared older. This entry was posted in 1864 - Winter, Life in Camp, Men of the 14th, The Lighter Side on January 24, 2014 by admin. This term was used by Capt. Samuel Fiske to describe the situation the Fourteenth Connecticut Volunteer Infantry found itself in 150 years ago this week. From their already advanced position on Stony Mountain, the brigade (2nd Brigade, 3rd Division, 2nd Corps) picketed regularly along the Rapidan River in close proximity to the enemy. The rest of their division and corps were encamped miles to the rear near Culpeper, so it’s easy to understand how these men could feel cut off from the rest of the army. Add to this situation Maj. Gen. William French, who was then in command of the Third Corps, and whose reputation as a capable officer was in a nosedive. Maj. Gen. Meade, commander of the Army of the Potomac, ordered French to: 1) move his corps to the read of Stony Mountain, 2) to deploy his picket lines so they didn’t overlap the lines of the troops to their front (the brigade that included the men of the Fourteenth), and 3) to strengthen the security of his picket line. Gen. French marched the Third Corps to its new position. Then he positioned his picket line directly behind Stony Mountain, across the only access to that rather remote position, and then he cranked up security so tight, that no one could pass through his picket line, unless specifically permitted to do so by himself or Gen. Meade. Communications between the Second Brigade were cut off completely from the rest of the division. Supply wagons were stopped and turned back as was a doctor going to the front to attend the sick. But it seemed that even Gen. Meade’s signature had no pull with Gen. French. The wife of the chaplain of the 108th New York had just arrived by train at Brandy Station to visit her husband. Knowing of the difficulties of passing French’s pickets, the chaplain had obtained a pass signed by Gen. Meade himself. But when the happy couple arrived at French’s picket line, with less than a mile left to the chaplain’s cabin, they too were refused passage, and were forced to endure a long, muddy ride back to the town. For Gen. French, justice would be both swift and severe. The army would soon be reorganized in preparation for the spring campaign, and he would be left without a command. And by early May French would be out of the army entirely. This entry was posted in 1864 - Winter, General Information, Life in Camp, The Lighter Side on January 17, 2014 by admin. In my post dated Dec. 28, 2012 (A Christmas Gift for Sgt. Hirst) I related how Sgt. Hirst’s wife, Sarah, surprised him by appearing at the door of his hut on Christmas Eve. It was also remarkable because it was rare that an enlisted man’s wife would even be allowed such a visit. Conversely, officers’ wives were frequently permitted to visit their husbands, so the visit of Captain Fiske’s wife, Elizabeth, as mentioned in last week’s post was not unique at all. What made her visit special to the regiment was the way in which she was received. As this was the only recorded instance of such a welcome dinner, it makes one wonder how the wives of the other officers were received. This entry was posted in 1864 - Winter, Life in Camp, Men of the 14th, The Lighter Side on January 10, 2014 by admin. Capt. Samuel Fiske (14th Conn. Vol. Inf., Co. F), under the pen name Dunn Browne, wrote to his faithful readers of the Springfield, Mass. Republican newspaper about the necessity for having a properly constructed chimney, having done it several times during the last several weeks. This entry was posted in 1864 - Winter, Life in Camp, Men of the 14th, The Lighter Side on January 3, 2014 by admin. 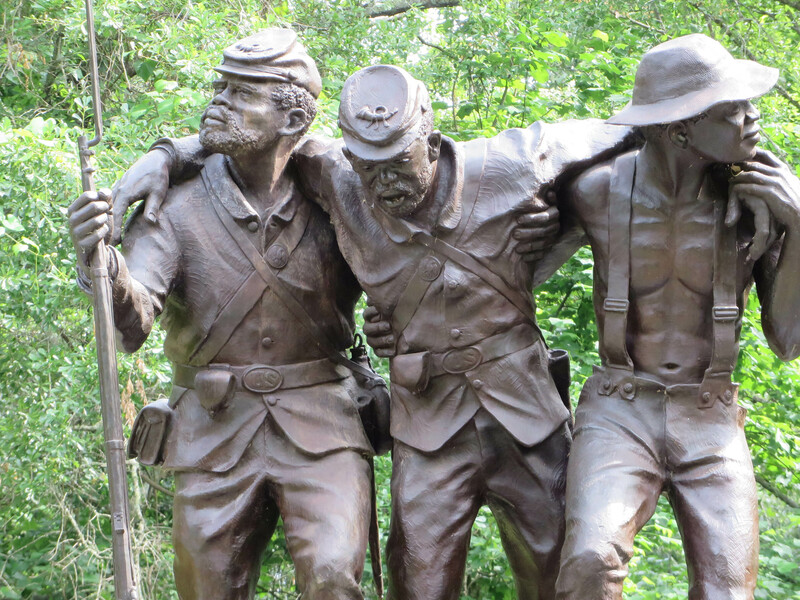 Regular readers of this blog know that I am not one to ignore any amusing anecdote when it relates to the Fourteenth Connecticut Volunteer Infantry. One such incident occurred on September 24, 1863. The dreadful execution of two deserters had occurred just six days before. The faulty ammunition had been replaced, and no doubt every soldier wished to test his allotment at the first opportunity. The opportunity presented itself in the form of a bull that wandered into a cornfield between the two armies that lay warily watching each other along the line of the Rapidan River. The bull appeared in front of the men of the Fourteenth Connecticut. Captain Walter Lucas of Company D had recovered from his wounding at Gettysburg and was ready for action. He detailed a squad of men to kill the bull for food. It should have been a simple matter, an easy dispatch of a single large animal, but apparently a lone bovine is harder to bring down than a host of Rebels. You can well imagine the hoots and hollers as first one, then another, of the new recruits of the Fourteenth stepped forward to test his marksmanship, or lack thereof, as it so proved. Every shot missed its target and soon some of the veterans likely stepped forward to show the “fresh fish” how it was done. Still the bull was not hit and went on about his gleaning of the corn. It was a normal thing for occasional shots to be traded by opposing pickets, so sporadic gunfire was mostly ignored by the armies. However, as shot after shot missed the bull, frustration at missing out of a feast of “beef-on-the-hoof” mounted, and the rate of fire increased across the line of the Fourteenth. Officers rode hither and thither sounding the alarm. 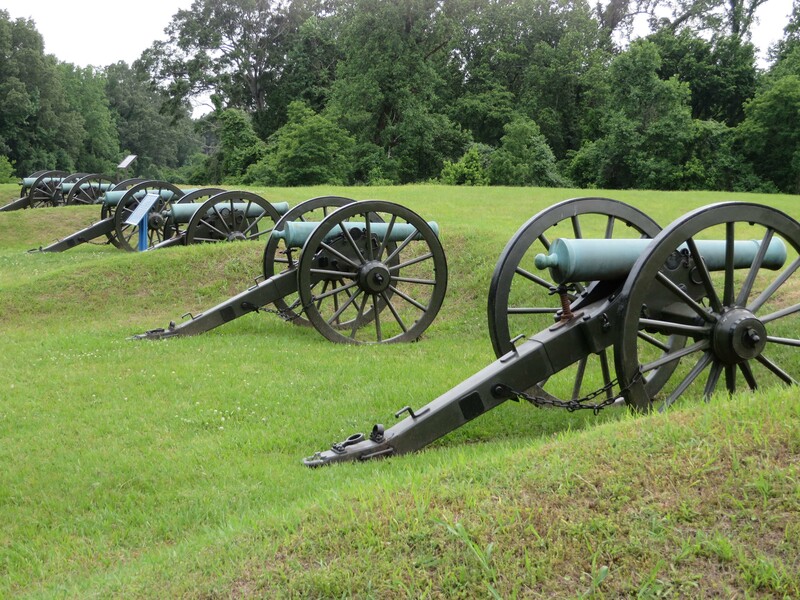 The First Brigade of the Third Division took up their weapons and formed in line of battle, convinced that their Second Brigade comrades were locked in pitched battle with attacking Confederates. Eventually, the storm of lead killed the animal. It’s carcass was brought within the lines and butchered. The enlisted men of the Fourteenth, however, likely dined only on leftovers, because much of the meat was given to the officers whose quiet day had been so rudely interrupted. Thus ended what the men came to call the “Third Battle of Bull Run.” Perhaps they should have called up the artillery. This entry was posted in 1863 - Autumn, Life in Camp, The Lighter Side on October 4, 2013 by admin.